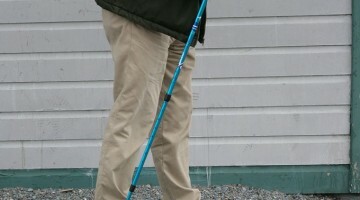 Nordic walking is a practice of walking with two mid-length, thin but sturdy poles. It is done as a sport for both exercise and enjoyment. It is similar to other sports such as “trekking” which also involve walking with poles. Weight Watchers™ accords Nordic walking double the activity points compared to regular walking of the same speed. 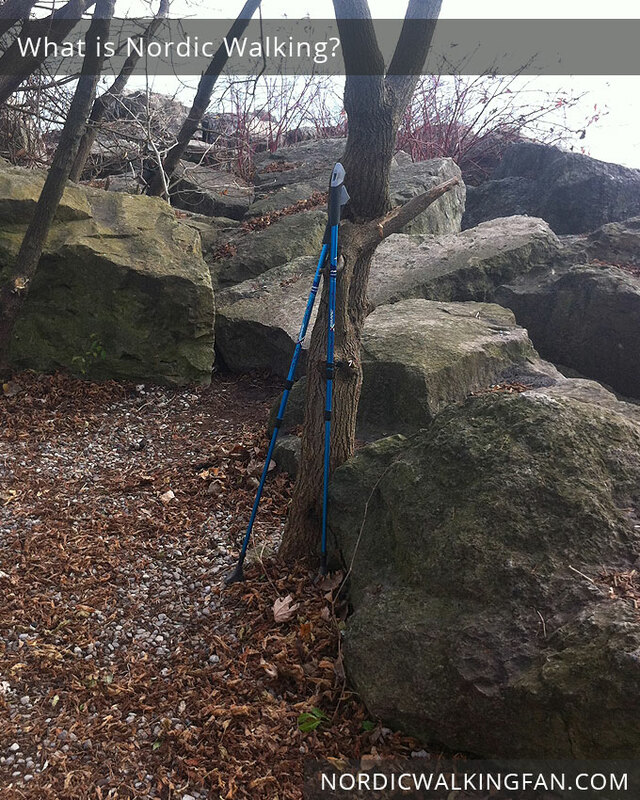 Nordic walking is not a competitive sport — no one wins or loses. It’s very companionable; you can keep up a bit of a conversation while doing it, depending on how fast you are pumping it along. It gets you outdoors in all kinds of weather. I find it gives me a feeling of freedom in that each bounce and push of the pole makes you feel just a bit like you’re taking off. 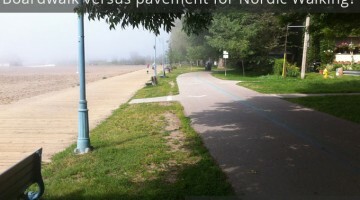 And those two simple poles turn a sidewalk, quiet road or trail into a fitness gym. When I’m out norking on a safe, smooth trail, I find my mind can really zone out, and forget all about work stresses for 20 minutes or half an minute. In that way, despite Nordic walking being very real exercise, it’s very relaxing. The poles also give you a sense of stability and security helping you to relax just that little bit more. Costwise, what I find appealing is that there’s a one-time cost of poles for around 100 bucks (£50 pounds), and you’re good to go. There’s no monthly gym membership that you keep on guiltily paying years after you stopped going. 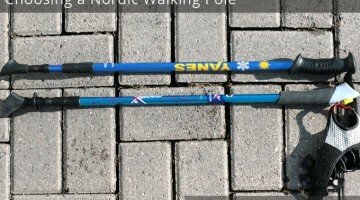 Of course, eventually you will probably find yourself wanting good walking shoes, etc, but other than that, there’s really few Nordic walking accessories to buy.